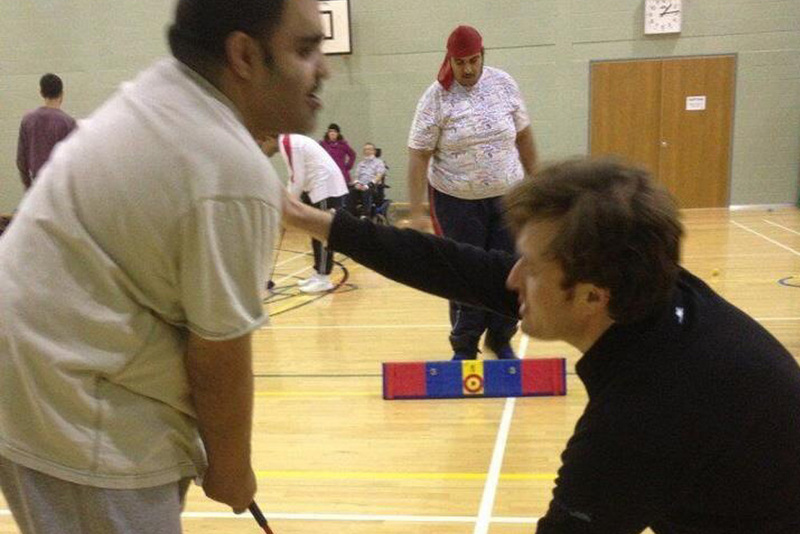 The Golf Trust brings people together through golf. Our team of professional golfers and enthusiasts have worked hard over the last four years to show how we can harness the power of golf as a driver of social mobility and change. Established in 2012 at the Shire London Golf Club by Cae Menai Davis and Frank Harrington it grew from a shared goal of the two men to showcase the inclusive nature of golf. Cae, who had been splitting his time between his playing responsilbilities on the Asian Tour and his involvement with the Shire London, was struck by a broader range of society playing the sport he loves. It was during a visit to Golf Live at The London Club in Kent that he met Frank who, along with Nigel Lawrence, had been invited to provide activities for children and young people through their ComGolf programme. ComGolf aka Community Golf started out as a sports and education outreach programme for the UK male cancer charity ORCHID. The programme used golf as a mechanism to engage people in the awareness message that playing sport and living a healthy lifestyle can help in the fight against cancer. The programme continues to work as a successful arm of the Orchid message and has worked with schools and community groups across the UK. Frank and Nigel’s work with the community using SNAG golf led to wider acceptance within the golf industry and between them they hosted activities at the home of golf St. Andrews and worked during the 2012 Olympics to celebrate golf becoming an official Olympic sport at Rio2016. The Golf Trust brings together all the various strands of ComGolf and The Shire London’s work with disabilities, creating something that means everyone can experience golf regardless of ability, age socioeconomic status or location. The inaugural Golf Trust Unity Day in October 2012 reinforced these aims as 140 Hertfordshire school children and members of The Shire London joined golfers representing Special Olympics GB and the Disabled Golf Society, for a unique nine-hole golf event celebrating inclusion. Registered with the Charity Commission (Registered Charity Number 1172134), The Golf Trust’s work has brought the benefits of golf to thousands of young people and helped to make golf an accessible sport for all. In doing so they have shown how golf can be utilised to deliver sporting and social outcomes for young people and communities. Since joining the PGA in 1971 Nigel has been at the forefront of golf development. However despite his focus on golf development he has always remained an active competitor. Nigel has vast experience in golf starting his career playing with British Ryder Cup star, turned BBC pundit Ken Brown, moving into Director and Development roles within the industry whilst still competing on the Senior circuit in Europe. Over his career he collected 2 titles in 72 and 89; tested himself against the elite of the game from both tours like spritely former Masters Champion Trevor Immelman to Champions Tour veterans like Jose Maria Canizares & Andy Bean. He combines his work at COMGOLF with his duties at Orchid, contributing articles to their newsletters, providing event support, working with children & young people to raise sporting participation & increase awareness of health issues. After leaving school he trained as a professional golfer graduating in 2010. He is now an active member of the Asian Tour as well as playing on the MENA(Middle east and North Africa), Sunshine(South Africa) and European Challenger Tour. When not competing he can be found at The Shire Golf Club working on outreach and inclusion in his role as founder of the Golf Trust. It was his experience whilst developing community programmes at The Shire and his playing career that led him to establish The Golf Trust as a means of getting more people involved in the game and showing that everyone can play golf together regardless of ability. 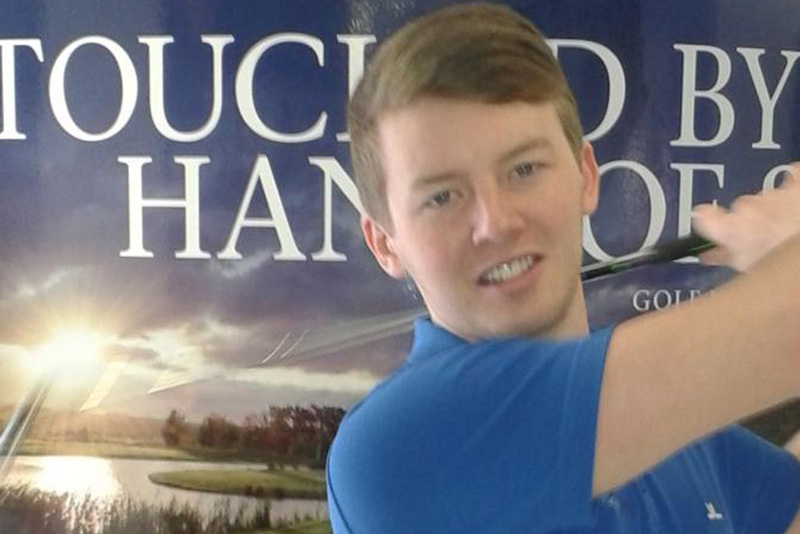 Benjamin is currently studying Sport Business Management at The University of Central Lancashire as part of his studies he has taken on a sports development role, assisting the ComGolf team with social marketing, coaching and business development. Growing up in golf with his dad Nigel ,it’s fair to say he has a lifetimes involvement in the sport. Away from his studies he’s a keen Arsenal fan and is a member at Porters Park, Hertfordshire. 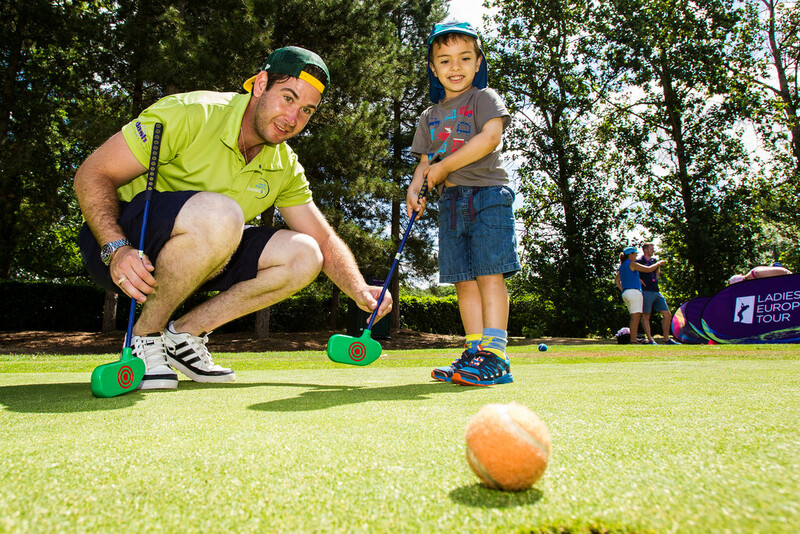 He has coordinated SNAG golf sessions in schools across Hertfordshire and more recently been invovled in developing golf sessions for the DASH project in the London borough of Hillingdon. Frank has worked in sports and the community development sector since 2001. In that time he has worked across London developing community provision most notably in Westminster, Camden and Tower Hamlets. 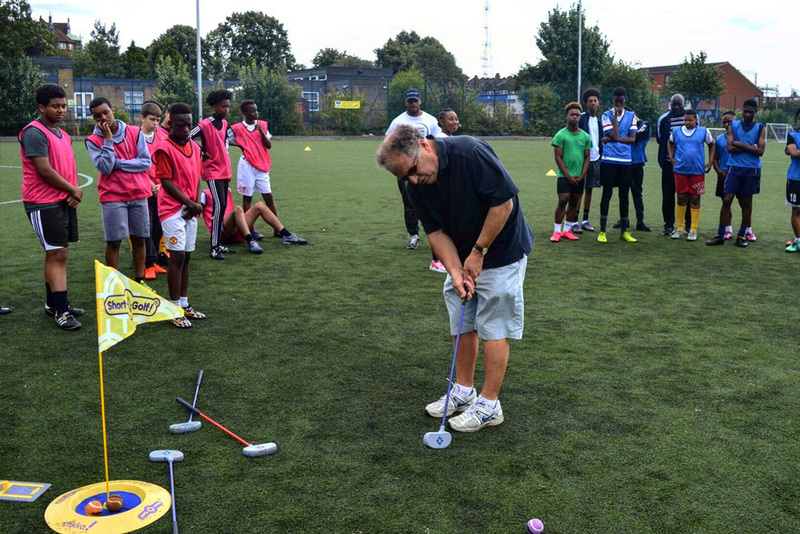 Whilst working in Tower Hamlets he met Orchid co-founder Prof.Tim Oliver and they embarked on ComGolf project raising awareness of the health benefits of golf, taking golf into inner city communities using award winning SNAG Golf equipment. Together with Nigel they have established the project as one of the biggest golf outreach projects in the UK by working with a plethora of community partners including schools, parks, leisure centre, local councils,golf clubs and golf pros.